Being a wedding photographers Dunes West Golf and River Club is a huge honor. I love Jason Hanson, the Gm there. We have worked together in this wedding industry for over 16 years. Being on the preferred vendors list as a wedding photographers for dunes west golf river club, which I am so grateful in being a part of. We also understand the expectations from our clients and let’s face it Dunes West Golf and River Club is unique and beautiful in its own way. As you get into the entrance of Dunes West, you travel about 5 miles, to the club house surrounded by the beautiful golf course and the Spanish moss trees. The club house by the 18th hole, the perfect wedding venue that is on a historical Lexington Plantation Of Wagner Creek, the beautiful oak tree that is there for the ceremony overlooking the beautiful marsh, the greenery and beautiful brick wall, the antebellum style waterfront clubhouse surrounded by 300 years old moss-draped oak. This place is spectacular. 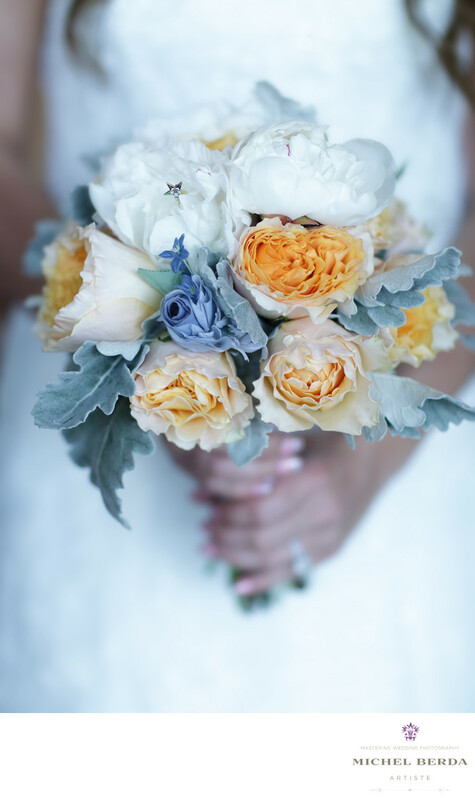 Here is an image capture there of the brides bouquet with the perfect tone, light, color and art.